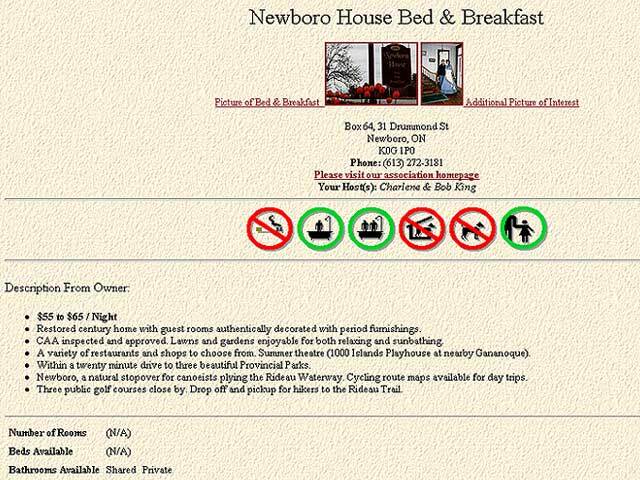 These days, there's a plethora of Bed and Breakfast websites on the Internet. 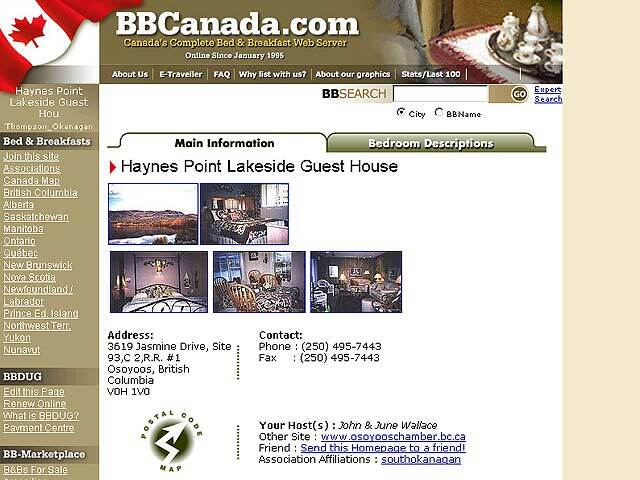 But ten years ago, doing a Yahoo search for Canadian B&Bs rarely yielded more than ten results. Anxious that these wonderful establishments not be stranded or lost on the 'Information Superhighway', Doug White and J.D. 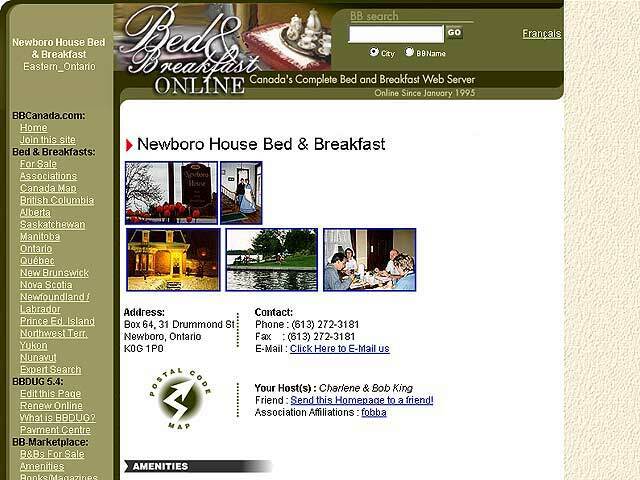 Robbins created Canada's first (and now largest) Bed and Breakfast Web Server. In this tenth anniversary newsletter, BBCanada.com co-founder Doug White talks about the early days and demonstrates how far the site has come in member size, media exposure, and range of services to subscribers. In late August of 1994 I said to J.D., "Here's what we're going to do. He said, "Cool". BBCanada.com was born in a driveway in about 10 seconds. The idea had been germinated and grown in discussions with B&B owners John Wallace and Bob King. 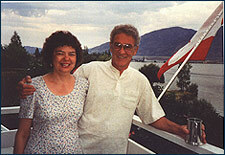 (Dozens of others helped but I'll restrict names to the very first two owners) We had stayed with John and June Wallace in Osoyoos in 1994. John and I spoke of retiring from teaching. He spoke of his B&B retirement project; I talked about the Internet. We agreed that a site for B&Bs could be both useful and inexpensive. The seed was planted. 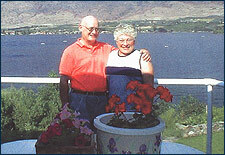 A couple of weeks later, while at a Square Dance, we stayed with Bob and Charlene King in Newboro, Ontario. Bob immediately grasped the concept and ideas flowed long into the night. He took out some money and put it on his table. Our first paying customer! Bob also organized an association meeting in his house. It was the first of scores that Annabelle and I attended. The web site was up and running January 1995. In 1995 the World Wide Web was a fractured, disjointed collection that lacked content. BBCanada.com was quickly discovered and appreciated for what it was; a simple, direct, easy to navigate site packed with highly organized information. It attracted the attention of many: I-Net (Sympatico), the Wave (Roger's Cable), the Conference Board of Canada (Marketing on the Internet), CBC, CTV, many newspapers, journals and magazines. All agreed that there was nothing quite like it on the net. Although the tools available to J.D. in 1995 were rudimentary, he designed a database driven template site. Although many scoffed at our approach as impractical, it's now widely imitated. When developing BBCanada.com's appearance, J.D. hired an excellent graphic designer to create the famous "Flag Maps" and amenities icons! Thanks, Dave! On August 22,1997, BBDUG was launched. In addition to allowing for self-update, every technical aspect of the site was changed. (The Database was moved to Access, code was now written in Cold Fusion, operating system was now NT, and Apache was our new web server. A host of detail!) On the day of the 'big changeover', we sat in J.D. 's apartment, sweating from both the heat and apprehension. J.D. said to Annabelle and I, "There's no going back." We watched the dying 'pings' of the old site. Seconds passed and new site 'pinged' to life. J.D. had the biggest grin I've ever seen. He was rightfully proud. 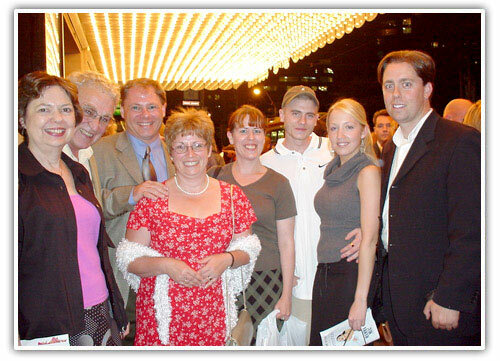 Ten years later, Annabelle and I continue to tirelessly promote BBCanada.com and the B&Bs of Canada. J.D. never stops 'tweaking' the site and the servers. About 2.4 million lines of code support the BBCanada site and its related infrastructure. We constantly upgrade hardware and server software. Long ago we switched to SQL Server. Our current three servers FTP, Mail, and Web Server are identical. They were installed June of 2004. A complete set of replacement parts is on hand, all are housed in rack-mounted cases, all run redundant disc drives- (Raid 0/1), a two hour battery power supply and a 4500 watt onsite generator ensure near perfect 'up time'. The servers are monitored by web cams and web based re boot devices. We have a 100mb fiber optic cable as our Internet connection. A far cry from 1995 when we had a disk drive hung onto a server operated by a third party. To make updates J.D. had to (by telephone) at 2:00 AM rewrite the entire data file. Towards the end it was taking up to 45 minutes. This year we will have about 25,000 daily visitors to BBCanada.com. They download between 6 and 9 gigabytes of data a day! Our commitment to both users and clients is our strength. Our team has grown over the years. Rose Keefe, our Association representative and special projects manager, is well known to many of you. Adriane Rock, our information officer, is responsible for the completeness and integrity of our database. Cathy McGowan welcomes inquiries in both official languages. They are models of courtesy, efficiency, and patience. Thanks, gang! Rico Falcone, our graphics wizard, created the maps currently on the site. Whenever necessary, he adds little dots on maps to locate any towns that are new to our database. Annabelle's insistence on excellence, detail, and process provide the bedrock on which BBCanada.com is built. JD's magic code will soon bring several new features to BBCanada.com this fall. If you have requests please let us know. He has a 'job jar' that never seems to empty. Requests are always considered. Doug continues to chat, to plan, to present, to dream. Here's the staff and spouses immediately after our 10th anniversary gala. On this occasion, Doug and Annabelle White were guests in our Bed & Breakfast. Doug and wife were on their way square dancing in Maberly and Newboro House was the nearest B & B they could find..
That evening, as we were all sitting around chatting, discussion arose over the difficulty for the traveling public finding any information about B&B accommodations. 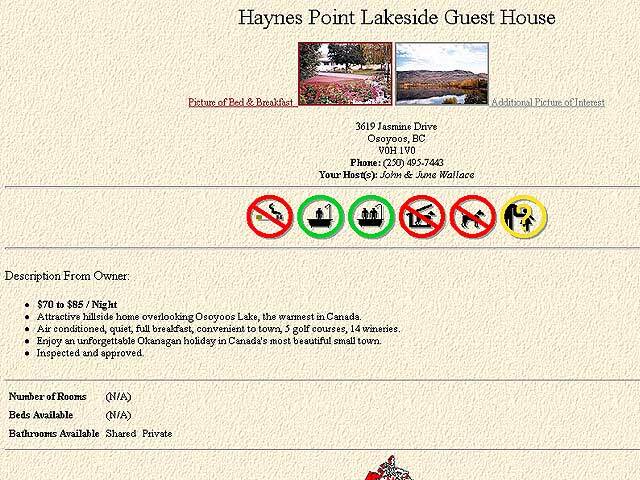 At this time there were no current publications or listings of bed and breakfast establishments available. 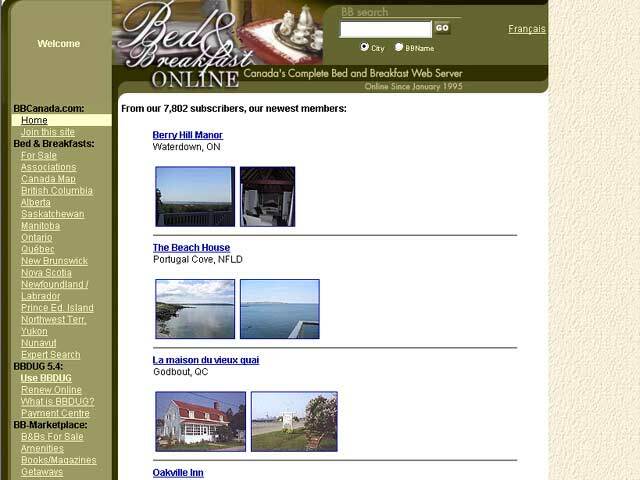 Doug came up with the thought of developing an electronic program to list and advertise our B & Bs. With computers fast becoming a household item and the potential to eventually expand to other regions of Canada and maybe the world, discussion soon gave way to unanimous enthusiasm. It was decided that upon Doug's return to Ottawa he would prepare a package along the lines of our discussion and make a presentation to any interested B&B operators in our neighborhood. In the meantime, Charlene and I contacted as many B&B operators as we could find, even going as far as Kingston, and invited them to this upcoming presentation from Doug, which was held at our B&B. We, at Newboro House, bought into this proposal immediately and suggested that Doug give this same presentation at our B&B association annual general meeting (FOBBA) in November. The idea was now taking hold, and it was timely, as Doug White's high school teaching career was winding down and he was looking for some vocation to supplement his passion for Alpine Skiing. Doug and BBCanada.com have come a long way since his early radio interview on CBC. Thanks for all the support over the years, Doug. Much of our good repeat business today came to us initially through BBCanada. Our next challenge is to sell and relocate to a warmer climate?????. The topic of the Internet arose when we discussed B&Bs having a site. You excitedly said, "Thank you, now I know what I will do after teaching", and the idea of BBCanada was born. Enclosed is a picture of you and Annabelle taken on the old deck. You mentioned that you used the picture to promote BBCanada. The area where you are standing is now part of our Sun Room where we serve breakfast when we cannot serve our guests on the deck. 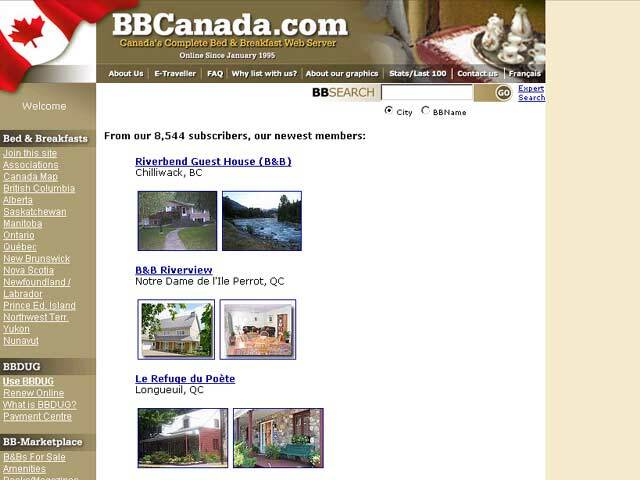 I have talked to several B&Bs in Nova Scotia and they all praise BBCanada.